It doesn’t matter what age you are, staying active is crucial for your health and wellbeing. 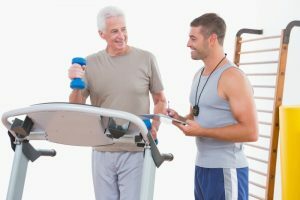 Whether you consider yourself a senior, or you are happy to enjoy your youthfulness at heart with a disregard to numbers, keeping active will help you stay healthy and will also improve your mental wellbeing. Even if you cannot hop on the trails and run a marathon, you can continue to be active. At Prosperity Pointe Assisted Living in Knoxville, we are passionate about providing you with a beautiful facility and outstanding amenities. 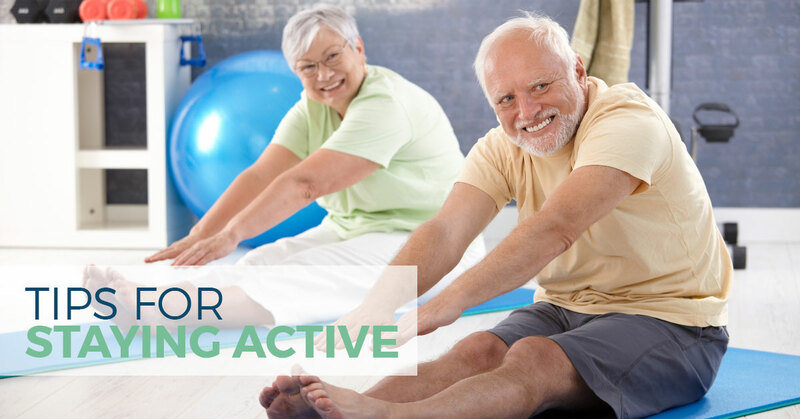 We encourage all of our residents to stay active, and keep themselves on a path to health. Read on to learn some tips that can help you stay active no matter your age. Do you have a loved one residing at our facility? Share these tips with them to help keep them healthy and happy. As we mentioned above, health factors may preclude you from taking a long run down the trails. However, this does not mean you cannot enjoy fresh air and activity. A great way to increase the amount of physical activity you take part in is to make it a habit to take one short walk each day. If you haven’t been very active for a while, start slowly. You don’t need to take on a mile long walk. Just take a short stroll around your favorite park. Take as many breaks as you want. Pick a place where you know there are benches you can relax on for peaceful stopping points. Don’t feel rushed. Going on a walk is not a race to the finish line. It is, however, a great way to get your blood circulating and an excellent opportunity for breathing in fresh air. Not only will the movement help keep your body healthy, the fresh air will improve your mood and overall well being. You can even pair this time of exercise with another beloved hobby. Do you enjoy bird watching? Bring along some binoculars and stop plenty to spot new birds. Do you enjoy horticulture? Get to know the different flower and plant types as you take a stroll. Another great way to stay active is to join one of our exercise classes we offer. These classes are geared towards any activity level, so even if you feel unsure of your abilities, we encourage you to come take part. An exercise class should be a fun experience. You don’t need to stress about being able to do everything in the class either. Take baby steps towards increased activity if you need to. Here at Prosperity Pointe, we also offer opportunities for bowling, basketball, and golfing. Whether you have been enjoying these activities for years, or you are looking to try something new, active hobbies will help keep you moving. Overtime these activities can help to build your strength and endurance. If being physically active is difficult for you to do, set yourself small goals to start out and reward yourself for each goal you meet. For example, if you normally don’t partake in any exercise classes or daily walks, set yourself an achievable goal to begin. Commit to taking three walks your first week. If you accomplish those three walks, reward yourself with something you love. After you successfully meet this goal a few weeks in a row, and it becomes a part of your natural routine, set a new goal. You could add a couple days of exercise classes to your goal. Remember, even if you have a setback, don’t get discouraged. Every day is a new opportunity to improve your health and wellbeing. No matter what age you are, staying physically active is an important component of your health and wellbeing. Keep both your mind and body active and you will enjoy an improved mindset and better overall health. Click here to see a full list our amenities and activities you can take part in at Prosperity Pointe Assisted Living in Knoxville.